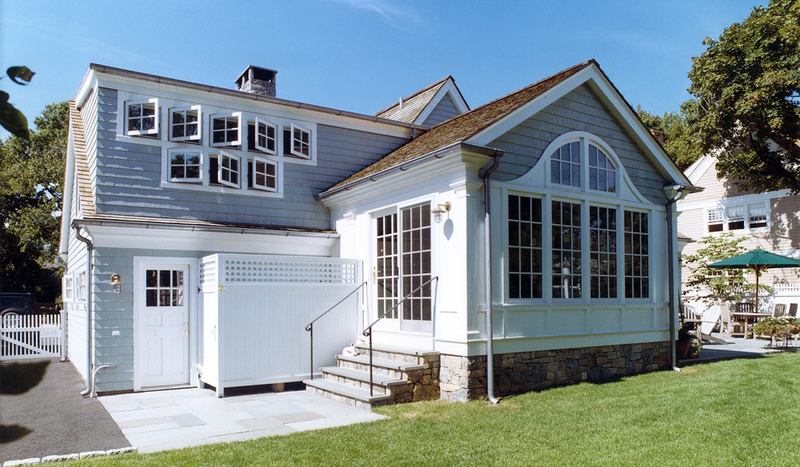 The first project in the Noroton Bay area of Darien, CT, this Cape style house was typical of the prewar structures original to the neighborhood. A relatively simple renovation, Cardello mainly concentrated on bringing charm to the exterior while opening up the interior to accommodate a busy family life. 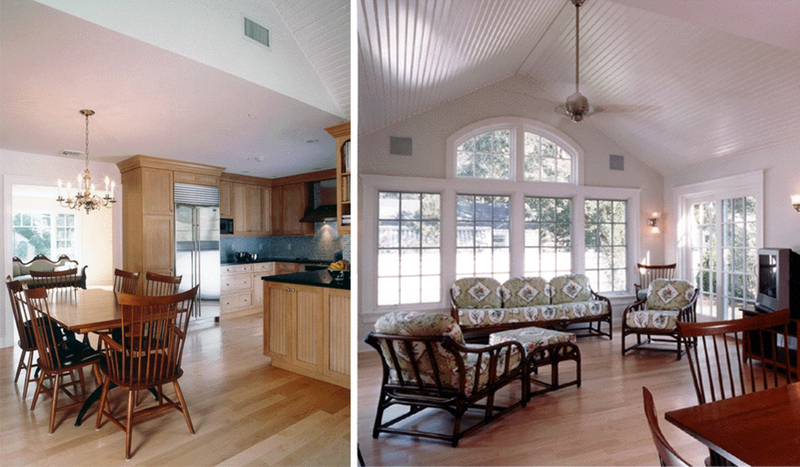 The added dormers, wood roof and extended family room bump out in the back certainly added a great deal of character and space. 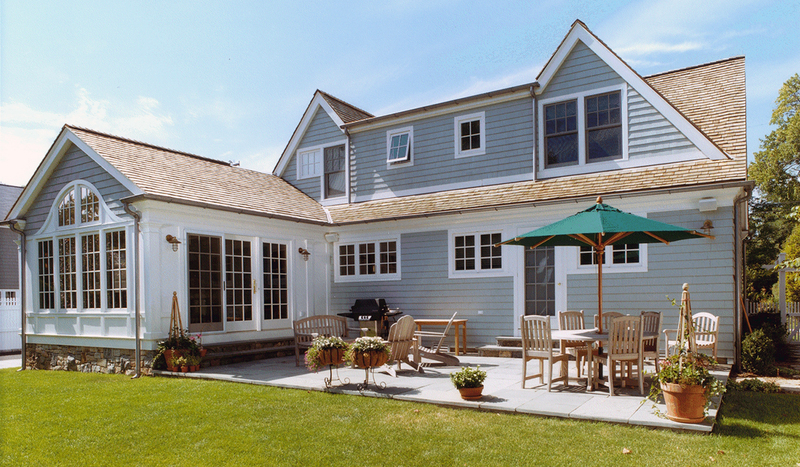 A seamless transformation into the lovely backyard welcome outdoor living and entertaining alike. 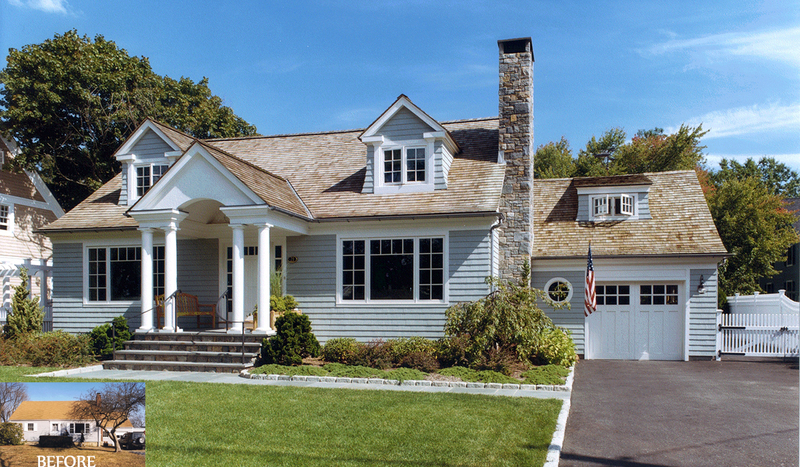 This is a great example of a beautifully conceived, modest, yet updated Cape-Cod home.